Edwards Audio SP1 review | What Hi-Fi? Regular readers would be forgiven for spotting something familiar about Edwards Audio’s new speakers, the SP1s. 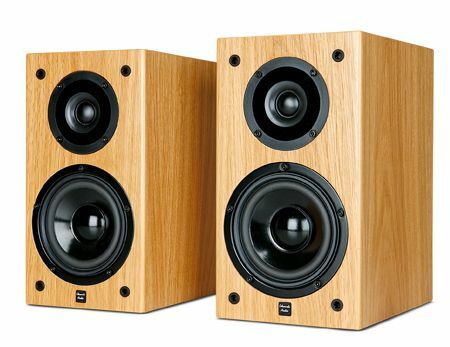 Understandable, as these compact standmounters are loosely based on EB Acoustics’ EB1s, an old favourite of ours. Let’s not overstate it, though. Despite the two products sporting the same mid/bass driver, and being pretty much the same size, the tweeter, crossover and certain elements of the cabinet are different. Edwards Audio SP1: Sound qualityImportantly, they have differing sonic characters too. The SP1s are tauter and more direct in their music-making. These are small, so deep bass isn’t on the menu – but the low frequencies are tuneful. The SP1s are fast too, delivering vocals with finesse. Tonally, they’re a tad on the lean and bright side, so avoid aggressive-sounding partners, particularly as the treble exhibits just a hint of coarseness. And they’re up against some tough rivals – especially Tannoy’s DC6s and KEF’s R100s – and it’s these rivals’ sheer quality that costs the SP1s a star.